Helping you to reach a culture and people who are constantly changing, Healing gives you approaches to creating the space that helps people connect with Christ. Want to share God's love more effectively? The world is changing; culture is shifting. Never has safety and security been more desired. What shakes also spills. Pressure spills to the surface. And when struggles become visible, safety becomes more invaluable. We only encounter true freedom and wholeness when we know we can speak and hear truth with no fear of retribution. Look at the ministry of Jesus. He created spaces of safety. He also never blamed people for how they got sick. Jesus' invitations are never based on whose struggles are more easily dealt with. In His Kingdom, in His house and under His care, there is no 'us' and 'them.' Jesus said over and over that He came for the sick, the broken, the oppressed, depressed, those caught in chains. He came for us. Each person, as well as every part of who we are, body, soul and spirit, matters to God. And if it matters to God, it must matter to us. With the world changing so are people's struggles. In years past what worked in prayer and ministry may not work today, because people's concerns and experiences of personal difficulties have changed. And just with anything else we should be growing in how we learn and deliver ministry. God wants to bring people into wholeness. And one of the greatest acts of kindness we can do is provide a safe place in order to witness people's struggles, so that we may love, care for and pray and minister to them more effectively. 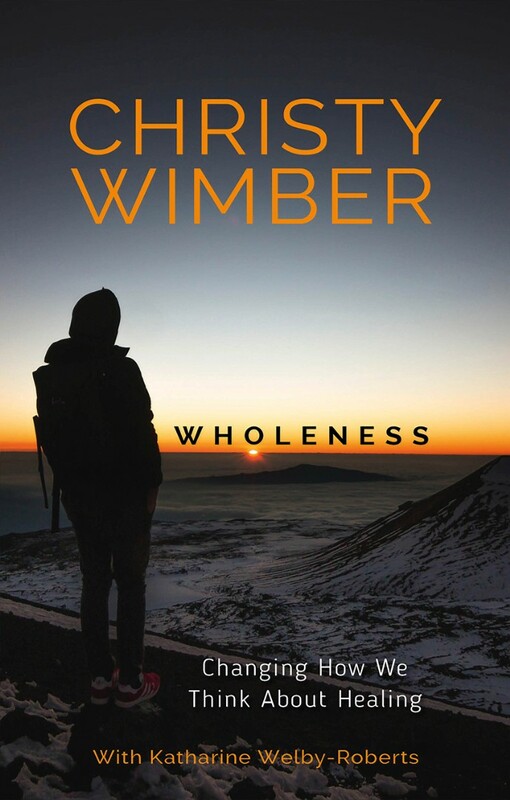 Wholeness by Christy Wimber was published by Monarch Books in April 2019 and is our 1346th best seller. The ISBN for Wholeness is 9780857219176. Be the first to review Wholeness! Got a question? No problem! Just click here to ask us about Wholeness.